SANTA CLARA, Calif., Oct 12, 2011 (BUSINESS WIRE) — MoSys, Inc., (NASDAQ: MOSY), a leading provider of serial chip-to-chip communications solutions that deliver unparalleled bandwidth performance for next generation networking systems and advanced system-on-chip (SoC) designs, announces the availability of its Bandwidth Engine® FPGA Companion Kit and Characterization Kit. These Bandwidth Engine development kits allow system designers to evaluate and develop code for next-generation networking systems that incorporate Bandwidth Engine ICs. The FPGA Companion Kit includes a MoSys Bandwidth Engine evaluation board with FCI AirMax VS® connectors arranged in accordance to Interlaken Physical Interop Recommendations, which allow for integration with standard FPGA 100G development kits. The Characterization Kit contains a board populated with SMA connectors to interface to any suitable FPGA or ASIC development systems. For the purpose of SerDes evaluation, the Characterization Kit can be operated in loopback mode connected to high-performance test equipment. 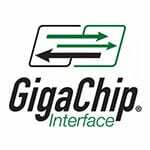 Both kits allow for connection of all 16 OIF CEI-11 compatible SerDes lanes that operate at up to 10.3125 Gbps and communicate with the host using the GigaChip(TM) Interface. The boards are available with either a test socket or with a Bandwidth Engine IC soldered onto the board.